One of the highlights of HeroesCon for us was the Womanthology panel. The remarkable ladies on the panel kindly invited Grace to participate and even gave her an incredible poster they all signed afterwards. They were so nice and encouraging to her. We made many new friends – Rachel Deering, Rachel Pandich and the amazing Becka Seashols, an incredibly prolific artist. (Seriously, follower her on Instagram and just see how much she cranks out in a day … awesome). Click here to see her Web site and here to follow her on Twitter! 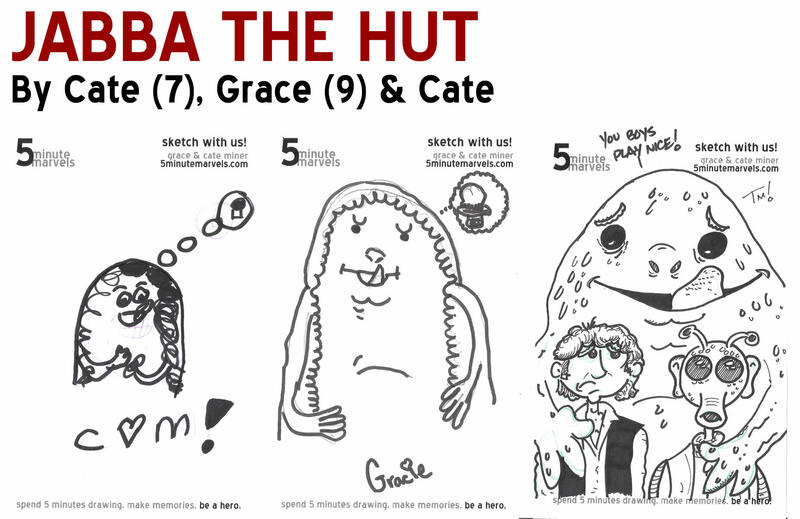 Becka draws lots and lots of Star Wars characters, so, tonight we drew Jabba the Hut for her! 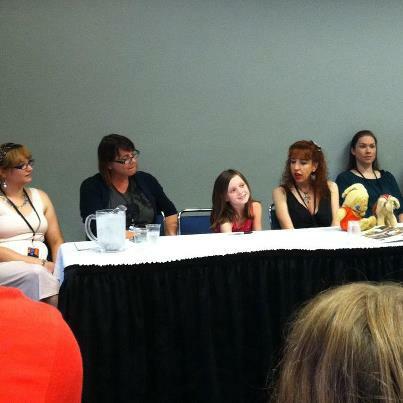 And, here’s a photo from the panel! This entry was posted in 5 Minute Marvels, Becka Seashols, Cartoons, Comic Books, Comics, Drawing Comics, How to Draw, Kids Comics, Making Comics, Sketching, Star Wars and tagged 5 Minute Marvels, Becka Seashols, Greedo, How to Draw, Jabba, star wars, Womanthology by GoldenRule. Bookmark the permalink.